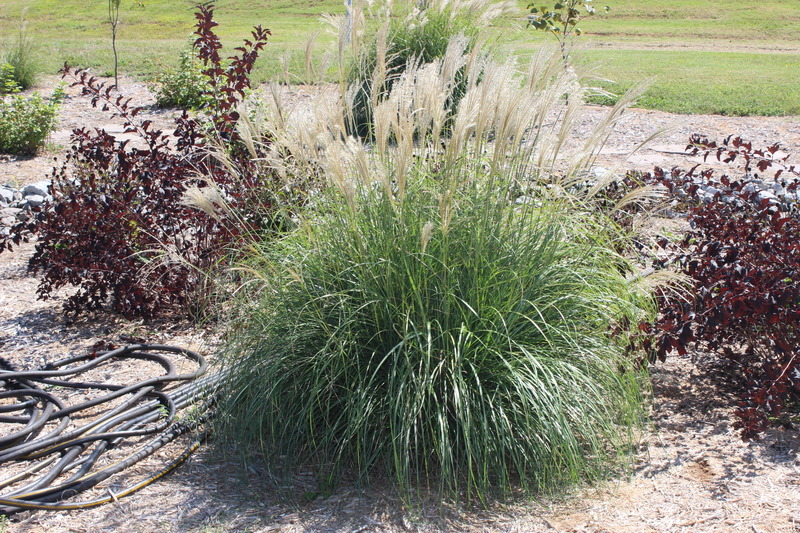 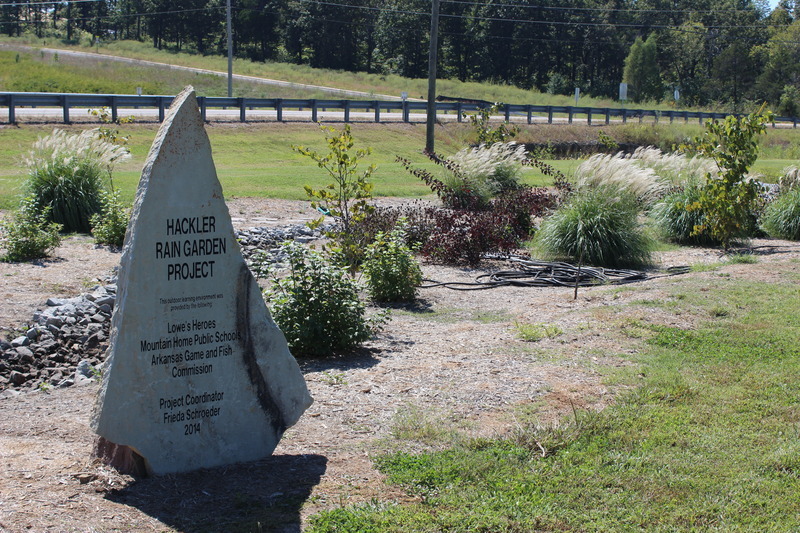 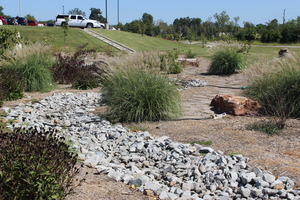 As you drive by the front of Hackler Intermediate School, you will see an attractive rock-laden rain garden. 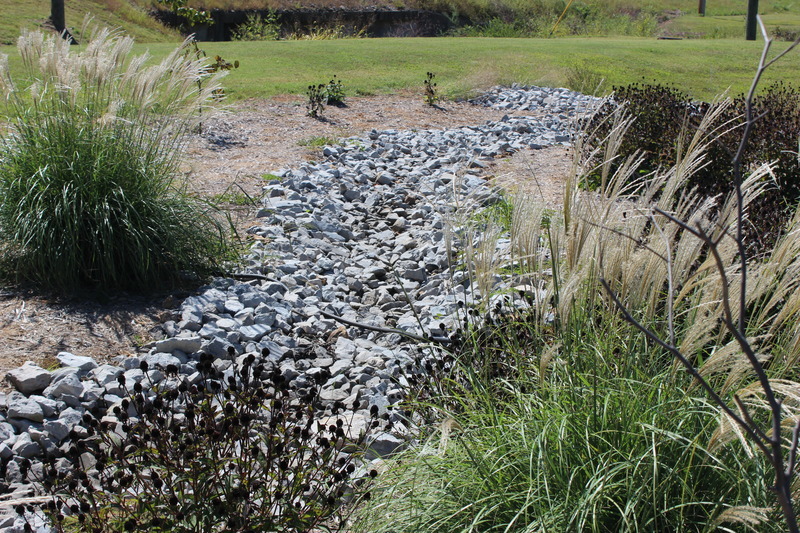 When we moved into our building, we were having some issues with drainage and runoff. 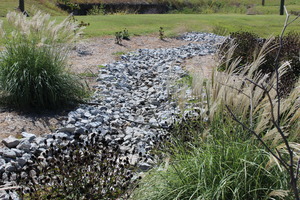 The solution to the problem turned into a beautiful outdoor area that is an outstanding feature of our building. 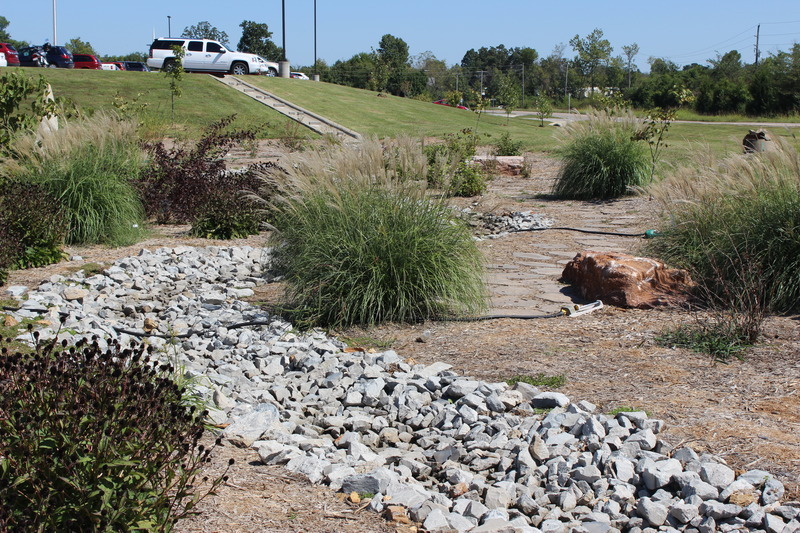 It would not have been possible without the efforts of The Arkansas Game and Fish Commission, Freida Schroder, Friends of the River, Tim Burnley, Dave Osmon and Mountain Home Quarry. Thank you to all of them for making the front of our building safer, dryer and beautiful.